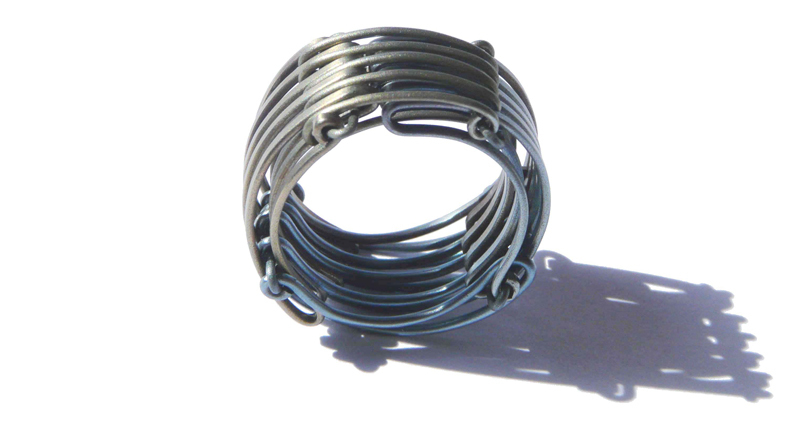 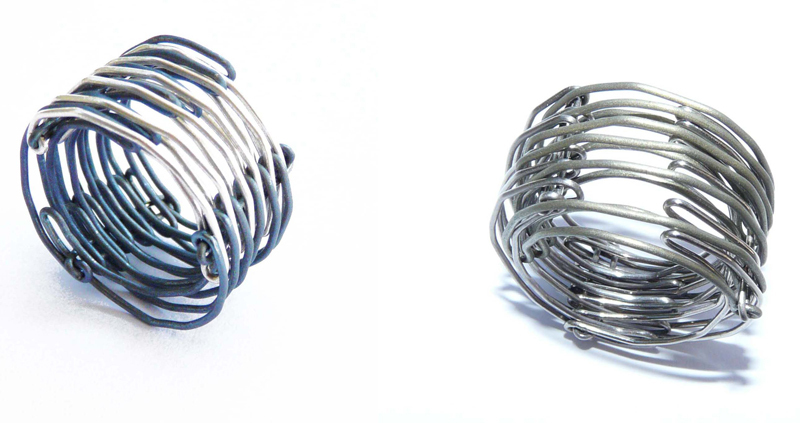 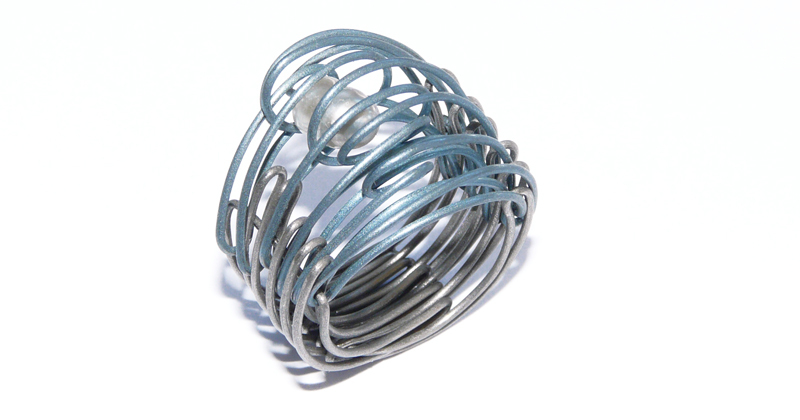 Ring made from titanium grey wire and anodized titanium. 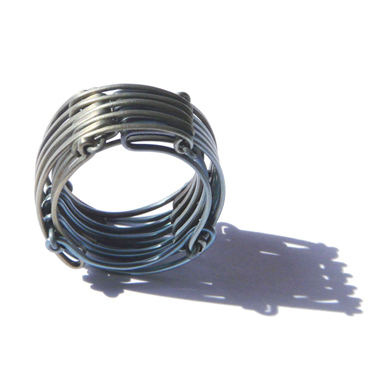 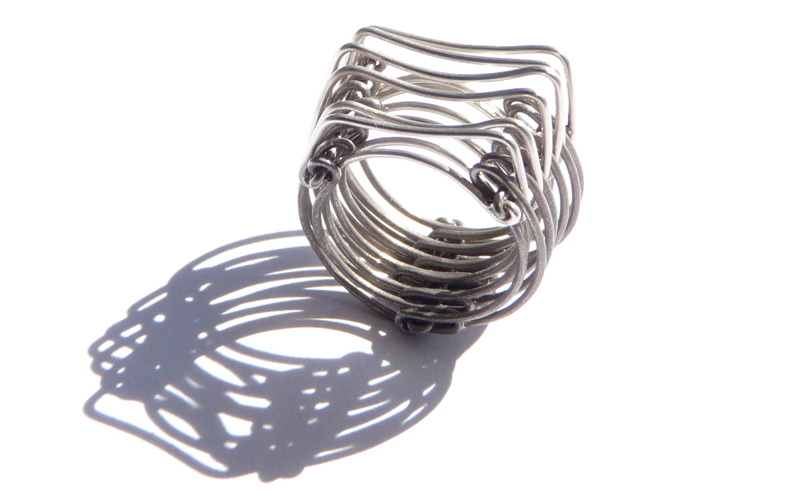 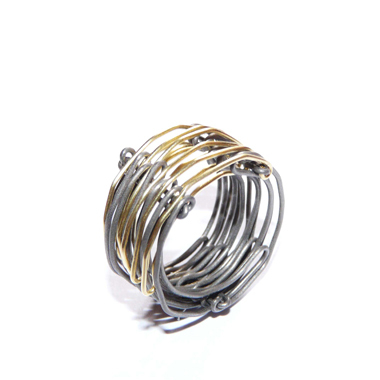 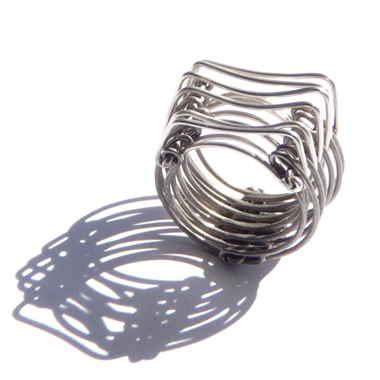 Rings are adjustable and may be suitable for 2 or 3 sizes. 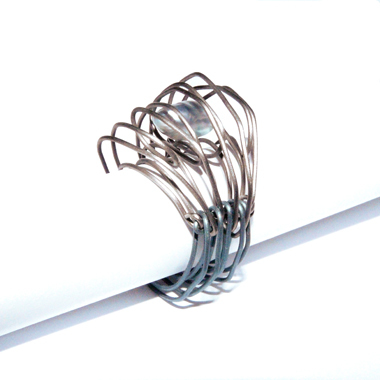 Allow 1 week of making before shipping.